World Autism Awareness Day takes place on April 2, 2013. Every year, autism organizations around the world celebrate the day with unique fundraising and awareness-raising events. April is also Autism Awareness Month.Autism is a lifelong developmental disability that manifests itself during the first three years of life. It results from a neurological disorder that affects the functioning of the brain, mostly affecting children and adults in many countries irrespective of gender, race or socio-economic status. It is characterized by impairments in social interaction, problems with verbal and non-verbal communication and restricted, repetitive behaviour, interests and activities. The rate of autism in all regions of the world is high and it has a tremendous impact on children, their families, communities and societies. It can bring significant economic hardships to families, given the lack of health resources often found in developing countries. The stigmatization and discrimination associated with these illnesses also remain substantial obstacles to diagnosis and treatment. The absence of autism spectrum disorders and other mental disorders among children from lists of the leading causes of death has contributed to their long-term neglect by both public policy-makers in developing countries, as well as donors. The Convention on the Rights of Persons with Disabilities entered into force in May 2008. Its purpose is to promote, protect and ensure the full and equal enjoyment of all human rights and fundamental freedoms by all persons with disabilities, and to promote respect for their inherent dignity. It is a solid tool to foster an inclusive and caring society for all and to ensure that all children and adults with autism can lead full and meaningful lives.The United Nations General Assembly unanimously declared 2 April as World Autism Awareness Day to highlight the need to help improve the lives of children and adults who suffer from the disorder. Jesse Tobias, American musician with the Red Hot Chili Peppers and Splendid was born 1st April 1972. Formed in Los Angeles in 1983. The Peppers’ musical style is a mix of funk, alternative rock, hard rock and punk rock. The band’s influences include Defunkt, Parliament-Funkadelic, Jimi Hendrix, James Brown, Gang of Four, Bob Marley, Big Boys, Sly and the Family Stone, Ohio Players, Queen, Stevie Wonder, Elvis Presley, The Beatles, The Beach Boys, Black Flag, Ornette Coleman, Led Zeppelin, Bad Brains, Fugazi, Fishbone, Marvin Gaye, Billie Holiday, Santana, Elvis Costello, The Stooges, The Clash, Siouxsie and the Banshees, Devo, and Miles Davis. Live, they incorporate many aspects of jam rock due to the improvised nature of much of their performances. 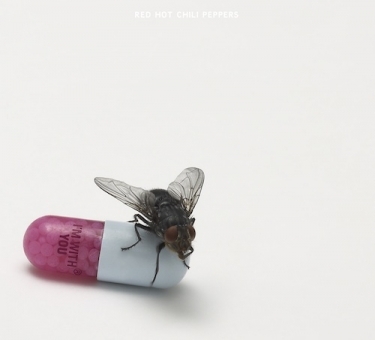 Currently, the band consists of founding members Anthony Kiedis (vocals) and Michael “Flea” Balzary (bass), longtime drummer Chad Smith, and guitarist Josh Klinghoffer, who joined in late 2009, following the departure of John Frusciante. The Red Hot Chili Peppers have won seven Grammy Awards and sold over 80 million albums worldwide. In 2012 they were inducted into the Rock and Roll Hall of Fame. The band’s original line-up featured guitarist Hillel Slovak and Jack Irons, alongside Kiedis and Flea. Cliff Martinez was the drummer for the first two records (Irons played on the third), and guitarist Jack Sherman played on the first. Slovak performed on two albums Freaky Styley (1985) and The Uplift Mofo Party Plan (1987); but died of a heroin overdose in 1988, resulting in drummer Irons’ departure. Parliament-Funkadelic guitarist DeWayne McKnight was brought in but he was replaced by John Frusciante in 1988. American singer songwriter and musician Marvin Gaye was born April 2, 1939.Gaye helped to shape the sound of Motown Records in the 1960s with a string of hits, including “How Sweet It Is (To Be Loved By You)” and “I Heard It Through the Grapevine”, and duet recordings with Mary Wells and Tammi Terrell, later earning the titles “Prince of Motown” and “Prince of Soul”. During the 1970s, he recorded the concept albums What’s Going On and Let’s Get It On and became one of the first artists in Motown to break away from the reins of its production company. Gaye’s later recordings influenced several R&B subgenres, such as quiet storm and neo-soul.Following a period in Europe as a tax exile in the early 1980s, Gaye released the 1982 Grammy Award-winning hit “Sexual Healing” and the Midnight Love album. Since his death in 1984, Gaye has been posthumously honored by many institutions, including the Grammy Lifetime Achievement Award and the Rock and Roll Hall of Fame. Marvin began singing in church at age four and was accompanied by his father on piano. Gaye developed a love of singing at an early age and was encouraged to pursue a professional music career after a performance at a school play. Marvin attended Cardozo High School and joined several doo-wop vocal groups, including the Dippers and the D.C. Tones.The younger Marvin’s relationship with his father worsened during his teenage years .Following an argument in which he stood up against his father, the younger Marvin walked out of the house for good and dropped out of high school. With dreams of being a flyer, 17-year-old Marvin enlisted in the United States Air Force as a Basic Airman. However he faked mental illness and was discharged shortly afterwards. Following his return, Marvin and good friend Reese Palmer formed the vocal quartet The Marquees.The group performed Gaye released his first single, “Let Your Conscience Be Your Guide” in May 1961, with the album, The Soulful Moods of Marvin Gaye, following a month later. The Marquees Were signed to Columbia subsidiary OKeh Records.The group’s sole single, “Wyatt Earp”, failed to chart and the group was soon dropped from the label. During this period Marvin began composing music and.The Marquees changed their name to Harvey and the “New Moonglows” and recorded several sides for Chess in 1959, including the song “Mama Loocie”, They also found work as session singers for established acts such as Chuck Berry, singing on the hits “Back in the U.S.A.” and “Almost Grown”. 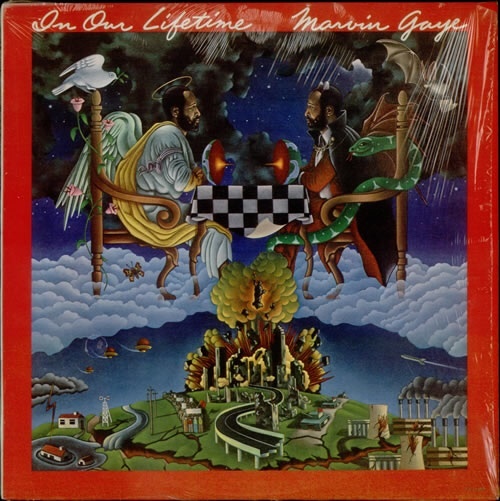 In 1960, the group disbanded and Marvin signed as a session musician, playing drums on several Tri-Phi releases. Sadly Gaye’s initial recordings were flops. Gaye spent most of 1961 performing session work as a drummer for artists such as The Miracles, The Marvelettes and blues artist Jimmy Reed.In 1962, Gaye found success as co-writer of the Marvelettes hit, “Beechwood 4-5789” and also released the songs, “Stubborn Kind of Fellow”, “Hitch Hike”and “Pride and Joy” these were included on Gaye’s second album, That Stubborn Kinda Fellow. Gaye performed as part of the Motortown Revue. A performance of Gaye at the Apollo Theater was also filmed. Then signed with Motown subsidiary Tamla and performed of jazz music and standards, having no desire to become an R&B performer.Before the release of his first single, Marvin was teased about his surname, with some jokingly asking, “Is Marvin Gay?” Marvin changed his surname by adding an “e”, following the style of Sam Cooke.. In 1964, Gaye recorded a successful duet album with singer Mary Wells titled Together, including the songs “Once Upon a Time” and “What’s the Matter With You Baby”. Gaye’s next solo hit was “How Sweet It Is (To Be Loved By You)”. Gaye also appeared on the TV. show American Bandstand and the concert film, The T.A.M.I. Show. Gaye had two number one R&B singles in 1965 with the Miracles-composed “I’ll Be Doggone” and “Ain’t That Peculiar”.After scoring a hit duet, “It Takes Two” with Kim Weston, Gaye began working with Tammi Terrell on a series of duets, mostly composed by Ashford & Simpson, including “Ain’t No Mountain High Enough”, “Your Precious Love”, “Ain’t Nothing Like the Real Thing” and “You’re All I Need to Get By”.”I Heard It through the Grapevine” was recorded by Gaye in April 1967, and became Gaye’s first to reach number one , followed by “Too Busy Thinking About My Baby” and “That’s the Way Love Is”. That year, his album M.P.G. became his first number one R&B album. Gaye produced and co-wrote two hits for The Originals during this period, including “Baby I’m For Real” and “The Bells”.Gaye’s new song “What’s Going On”, was inspired by an idea from Renaldo “Obie” Benson of the Four Tops after he witnessed an act of police brutality at an anti-war rally in Berkeley which became a huge hit. Gaye’s next album What’s Going On featured the singles, “Mercy Mercy Me (The Ecology)” and “Inner City Blues”and was described as “the most important and passionate record to come out of soul music, delivered by one of its finest voices”. The album received two Grammy Award nominations and several NAACP Image Awards. Gaye then released the soundtrack and subsequent score, Trouble Man, released in late 1972.In 1973, Gaye released the Let’s Get It On album. Its title track became Gaye’s second number one single. Other singles from the album included “Come Get to This” and “You Sure Love to Ball”.Marvin’s final duet project, Diana & Marvin, with Diana Ross, garnered international success. Responding to demand from fans and Motown, Gaye went on tour starting AT the Oakland-Alameda County Coliseum and this performance received critical acclaim and resulted in the release of the live album, Marvin Gaye Live! and its single, a live version of “Distant Lover”, an album track from Let’s Get It On.Gaye toured throughout 1974 and 1975 and gave a performance at a UNESCO benefit concert at New York’s Radio City Music Hall to support UNESCO’s African literacy drive, resulting in him being commended at the United Nations. Gaye’s next studio album, I Want You, followed in 1976 with the title track becoming a number-one R&B hit. That summer, Gaye embarked on his first European tour in a decade, starting off in England and issued the live album, Live at the London Palladium, featuring the song, “Got to Give It Up”.In December 1978, Gaye issued Here, My Dear, inspired by the fallout of his first marriage to Anna Gordy. During that period, Gaye became addicted to cocaine and had serious financial problems with the Inland Revenue Service.In 1980, Gaye went on a European tour . After the tour he relocated to London where he feared imprisonment for failure to pay back taxes, which had now reached upwards to $4.5 million. (US$12,880,250 in 2014 dollars. Gaye decided to rework Love Man from its original disco concept to another personal album invoking religion and the possible end time from a chapter in the Book of Revelation entitled In our Lifetime? However the Master Tape was stolen. Motown remixed the album and issued it on January 15, 1981 without permission, prompting Gaye not to record any more music for Motown. 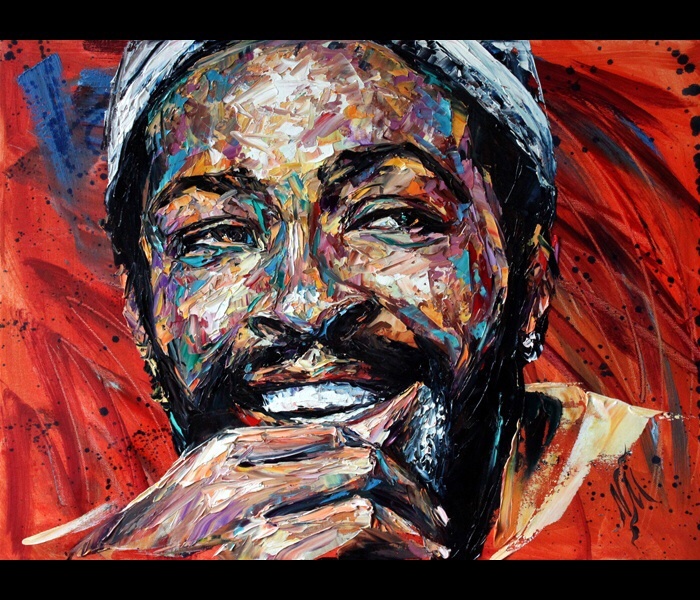 In 1981, Gaye relocated to Ostend, Belgium.While there, He began attending a local Ostend church, regaining personal confidence. Following several months of recovery, Gaye sought a comeback onstage, starting the short-lived Heavy Love Affair tour in England and Ostend between June and July 1981.Gaye then released his first post-Motown album titled Midnight Love. The first single, “Sexual Healing”, was released in 1982, and became a huge hit,winning two Grammy Awards and becoming Gaye’s most successful single to date. In 1983 Gaye performed “The Star-Spangled Banner” at the NBA All-Star Game, accompanied by Gordon Banks and also performed at the Motown 25: Yesterday, Today, Forever special and also made his final TV Performance on Soul Train. Gaye embarked on his final concert tour, titled the Sexual Healing Tour, in 1983 in San Diego, California. Midnight Love was nominated for a Grammy in the Best Male R&B Vocal Performance, his fourteenth and final nomination. Sadly on April 1 1984, Gaye was shot twice by his Father and was rushed to California Hospital Medical Center but was pronounced dead on arrival. Gaye died a day before turning 45.The gun with which Marvin Gaye, Sr. shot his son was given to him by Marvin as a Christmas present.Following his funeral, Marvin was cremated with part of his ashes spread near the Pacific Ocean. Since then Marvin’s fans have held vigils for the singer at the final residence to celebrate the day of his birth. Marvin was the father of three children, Marvin III, Nona and Frankie, and the grandfather of three boys, Marvin IV, Nolan and Dylan. At the time of his death, he was survived by his three children, parents and five siblings. International Children’s Book Day takes place on 2nd April. It is sponsored by the International Board on Books for Young People (IBBY), an international non-profit organization. Founded in 1967, and is observed on or around the anniversary of Hans Christian Andersen’s birthday, in order to to inspire a love of reading and to call attention to children’s books. Each year a different National Section of IBBY has the opportunity to be the international sponsor of ICBD. It decides upon a theme and invites a prominent author from the host country to write a message to the children of the world and a well-known illustrator to design a poster. These materials are used in different ways to promote books and reading. Many IBBY Sections promote ICBD through the media and organize activities in schools and public libraries. Often ICBD is linked to celebrations around children’s books and other special events that may include encounters with authors and illustrators, writing competitions or announcements of book awards. Other activities include writing competitions, announcements of book awards and events with authors of children’s literature. Danish author and poet Hans Christian Andersen was born April 2, 1805. Andersen is best remembered for his fairy tales, a literary genre he so mastered that he himself has become as mythical as the tales he wrote. Although he was also z prolific writer of plays, travelogues and novels. Andersen’s popularity is not limited to children either; his stories—called eventyr, or “fantastic tales”—express themes that transcend age and nationality. very early fairy tale by Andersen called The Tallow Candle (Danish: Tællelyset) is about a candle who did not feel appreciated. In 1829, Andersen enjoyed considerable success with a short story titled A Journey on Foot from Holmen’s Canal to the East Point of Amager. In the book, the protagonist meets characters ranging from Saint Peter to a talking cat. He followed this success with a theatrical piece, Love on St. Nicholas Church Tower and a short volume of poems. At Jura, near Le Locle, Switzerland, he wrote the story, Agnete and the Merman. He spent an evening in the Italian seaside village of Sestri Levante the same year, inspiring the name, The Bay of Fables. 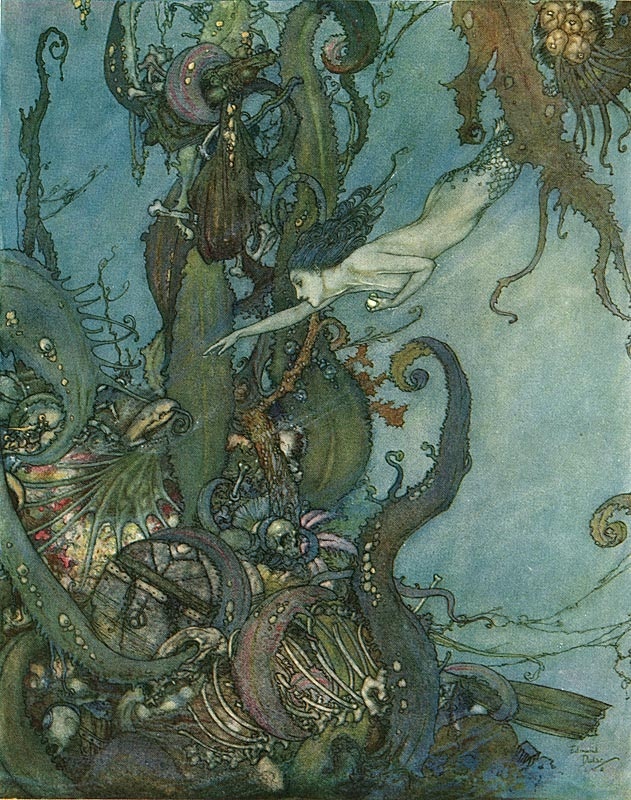 It was during 1835 that Andersen published the first installment of his immortal Fairy Tales (Danish: Eventyr; lit. “fantastic tales”).